Measurement Informs Decisions. Supports Strategy. Communicates Value. The LBG impact measurement framework is embedded within the Model. It is straight-forward and strategic. Reporting becomes more compelling. Stakeholders become engaged. Measurement can be over complicated because people start thinking about impact too late, i.e. at the end or mid-way through a project. LBG Canada companies think ‘measurement’ at the beginning, i.e. at the design stage or at the time of decision. LBG Canada company LoyaltyOne incorporated the Impact Measurement Framework into the highly successful design and re launch of their community investment strategy. ‘The framework allowed for flexibility and actually gave the charities more power to let us know what kind of impact they could help us achieve,’ says Gabriela Polanco-Sorto, LoyaltyOne’s Associate Director of Corporate Responsibility. ‘After all, they are the experts working in the frontlines’. 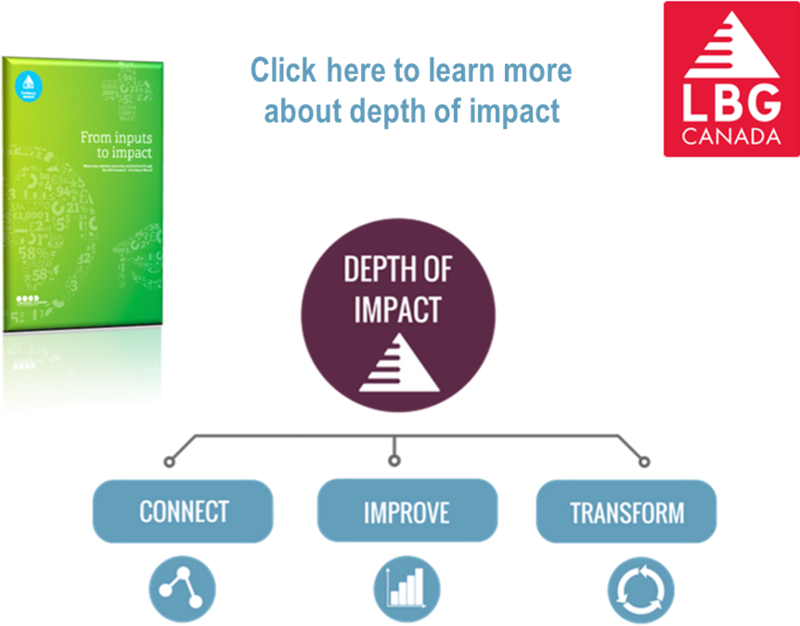 Click here to access the LBG Canada Spotlight on LoyaltyOne’s use of the Impact Measurement Framework. Click here to read the LoyaltyOne 2017 Community Report.